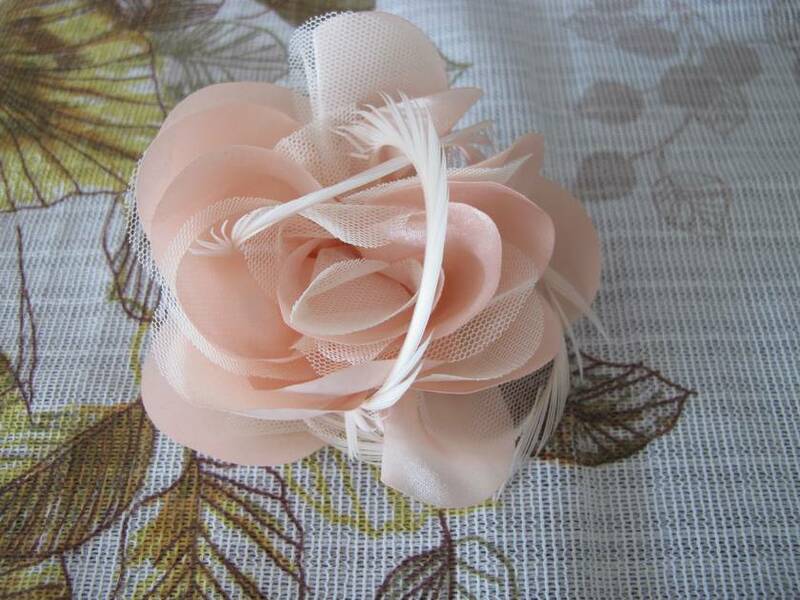 Vintage wedding inspired brooch or hair piece. Can be worn as either a brooch or a hair accessory. 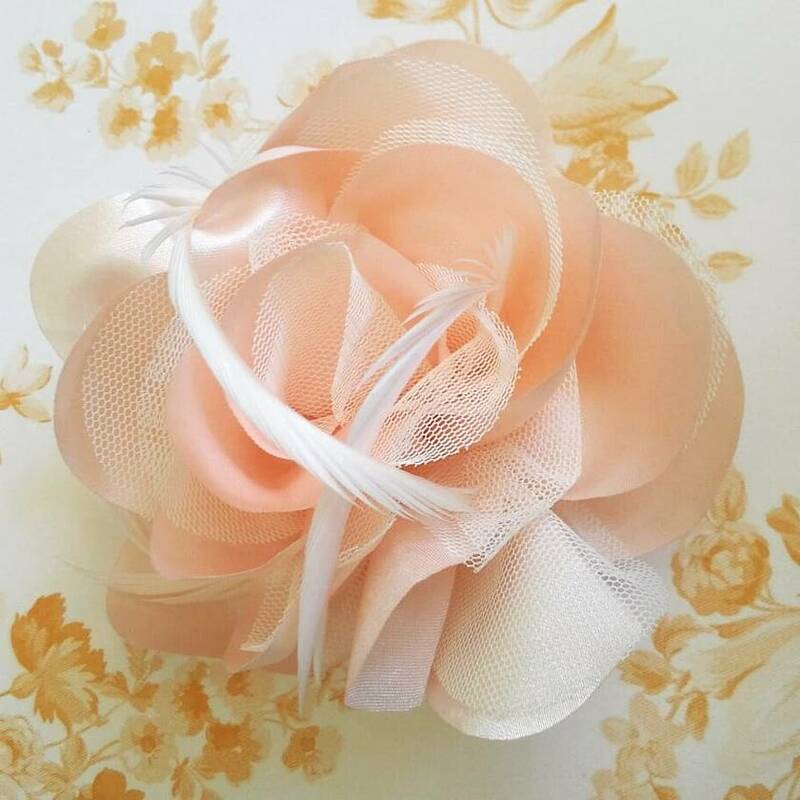 Inspired by vintage weddings and the races this piece resembles a beautiful soft coral flower with delicate feathers. It can be worn at a wedding, at the races or a school ball as well as at children's parties and for everyday use! 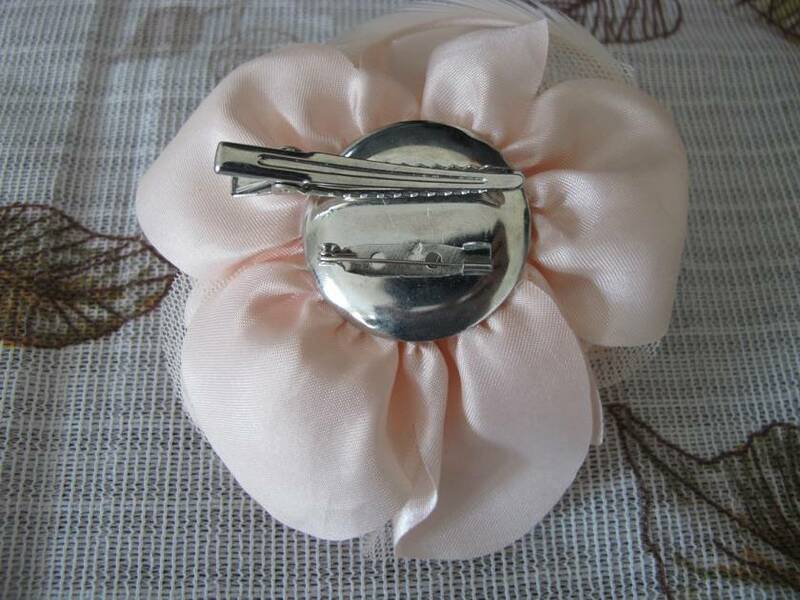 Clip to your outfit, jacket, hat, wear in your hair or as a brooch - so many uses. 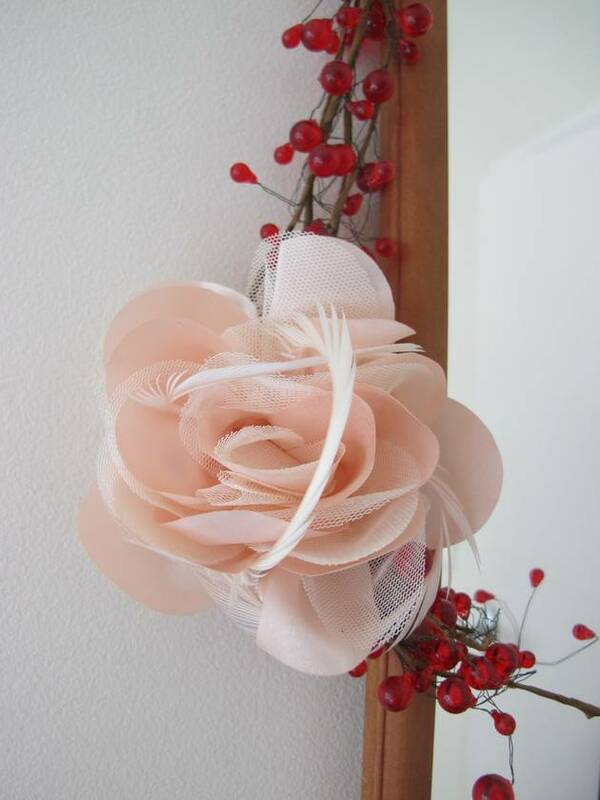 Just as wonderful for the bride, mother of the bride, flower girls or as a guest. Fabulous decor at a children's party or to attach to your favorite winter coat. Contact swallows to enquire about payment or shipping options. Re-made for you to re-love.